Yeah, I’ve been hacking Fate Core (Evil Hat Productions) to play Castle Falkenstein (R. Talsorian Games), using the lovely Deck of Date Fate (see previous posts). I think it’s in pretty good shape so I give you: the ebook versions! The .ePub and .mobi versions are zipped, along with metadata and cover image, and stored on Google Drive but should not require registration. The PDF is stored right here on WordPress. Let me know if you encounter problems with the files. 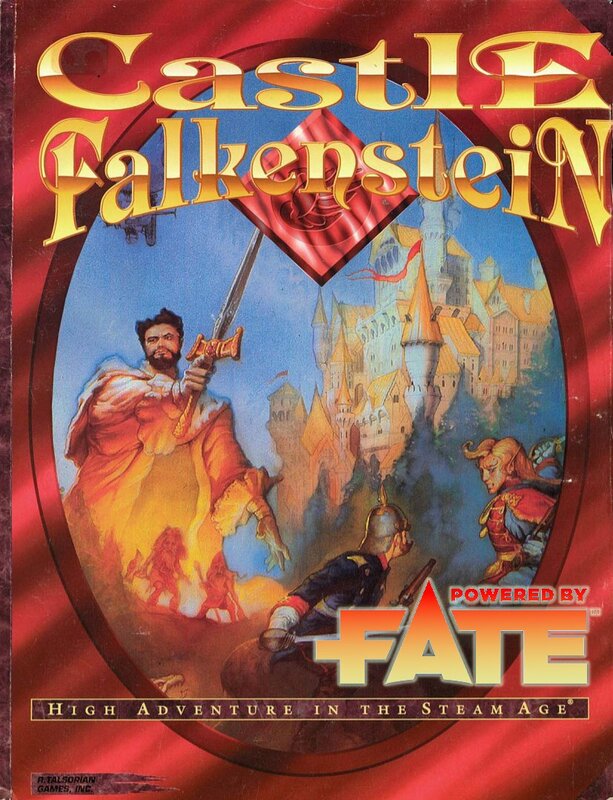 Cover by William Eaken and Mike Pondsmith, 1994, from Castle Falkenstein (R. Talsorian Games), with “Powered by Fate” logo from Evil Hat Productions. Used and modified without permission, no copyright challenge intended. Posted on January 10, 2014 January 11, 2014 by mechanteanemonePosted in fiction, games, rpgsTagged Castle Falkenstein, e-books, Evil Hat Productions, fantasy, FATE, Fate Core, games, R. Talsorian, rpgs, steampunk, writing. Next Next post: Do: Fate of the Flying Temple — Flying in soon!